Out of the hundreds of putting drills that are around today, this two-ball putting drill will help you control speed and acquire feel for that speed. It is also a great drill to help you adjust to the varying green speeds. Many people have problems when the greens are fast at one course then slow at another. To start out with this drill you will need 2 balls that are the exact same. For example, 2 ProV1's, 2 Bridgestone 330RX, 2 Top Flight Gamers, etc. The point is make sure they are the same because if you have two different balls, this drill will be ineffective. Once you get 2 balls within 6 inches of each other on consecutive times from 5-10 feet then switch up and start putting to 15-20 feet a couple of times doing the same thing. This drill is excellent for the timing of the stroke. 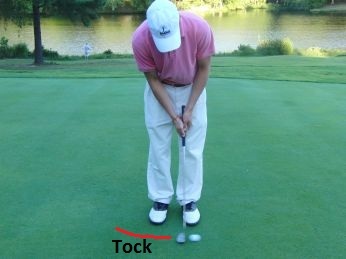 The goal of this drill is to help with reaching peak speed of the putter just before impact and not afterwards. If you reach peak speed after impact it becomes nearly impossible to create feel and have good speed. 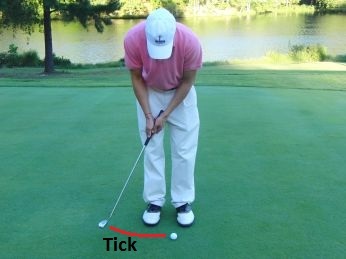 As you make the stroke, the time it takes from address to top of stroke should be the word "tick"
On the way down from the top of back stroke to impact should be "tock"
To be sure you fully understand this concept, make sure you say "tick" as you take the putter back, then say "tock" as you bring the putter back down, before impact. 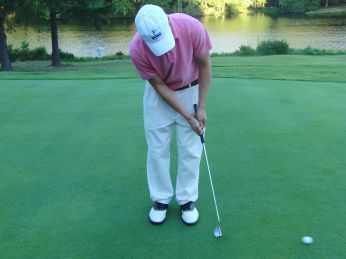 For this putting drill, courtesy of David Orr, you will need some string and 3 tees. 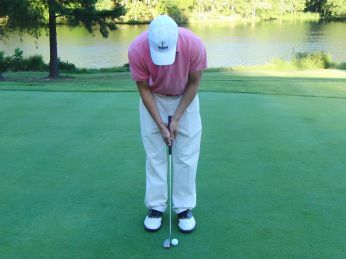 One of the biggest problems I see these days with golfers is that they are too wristy when they putt. When I see someone who is too wristy, they will usually struggle with feel. To fix this you should check out the rhythmiser by Harold Swash. 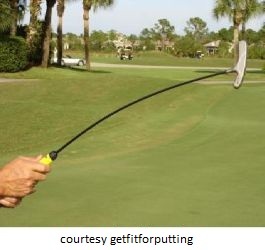 It is one of the best putting aids I have seen that helps with controlling the timing of the stroke and fixing the golfer's wrists as a putting drill. 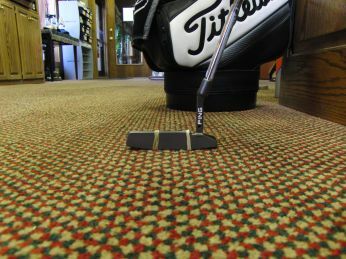 For this putting drill take 2 rubber bands and wrap them on the outside of the impact zone. This zone is usually located very close to center of putter face or just a little inside toward the hosel. 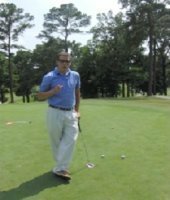 Once you have the 2 rubberbands set on the edges of the impact zone, try hitting a few putts and checking to see if you are consistently hitting the impact spot between the rubberbands. 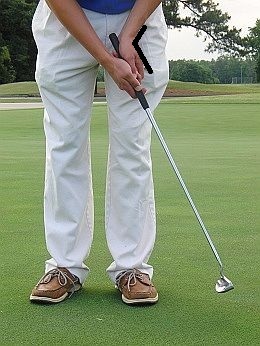 Another great way that David Orr has found to check impact spots on the putter face is by using chapstick. 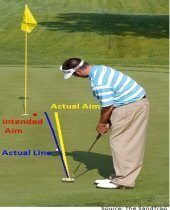 By checking your impact spot regularly you will get a good grasp on what your tendencies are and will become a better putter because of it. 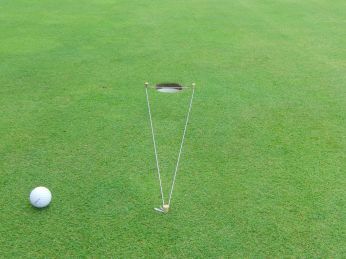 Hopefully using some of these featured putting drills you will be on your way to draining putts.